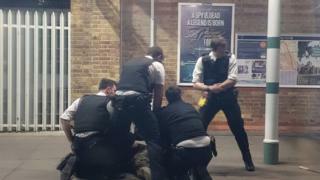 A machete-wielding man was Tasered on a railway station platform as “terrified” rush hour commuters seemed on. 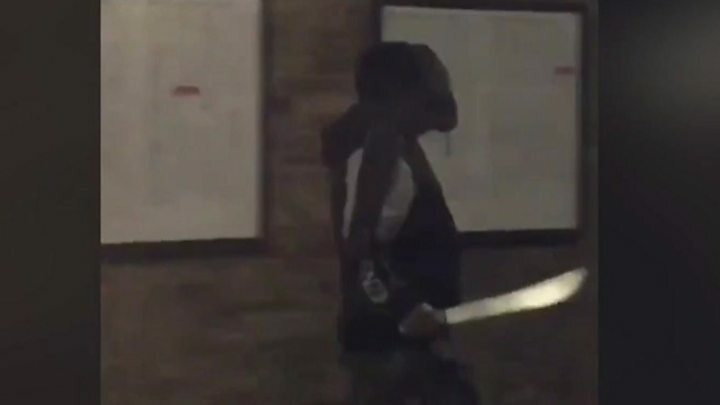 Police pinned the three men – filmed waving a “massive” blade at Tulse Hill station in South London – to the ground shortly after 18:30 GMT on Monday. A 59 -year-old man has been arrested on distrust of attempted murder and possessing an offensive weapon, police said.